This year, though, it was even harder. Not because I’m complacent. Far from that. But since I stopped working from home, the person I am becoming, the habits I want to manifest, and the goals I want to achieve have been on my mind so often that I couldn’t think of anything new to manifest in the upcoming year. In fact, when looking for a notebook, I stumbled upon a note that I wrote at the beginning of December. That’s definitely more than a single year’s worth of goals, probably two years ;). Though I may not become an Ironman this year, I’m working toward doing Yoga teacher training this fall. It’s been a goal of mine for a LONG time, and I am so thrilled! 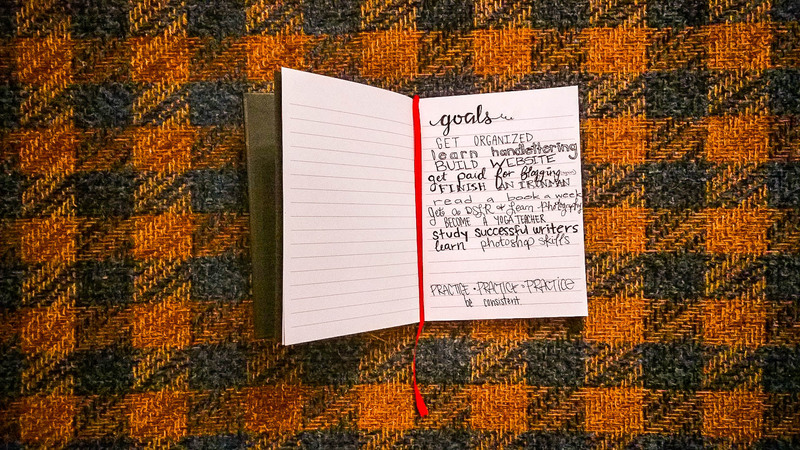 All in all, I know that I’ll be taking small steps toward achieving all of these things. In addition to that, and of course “being a YES!,” a couple of other things came up during these two weeks since the year began. 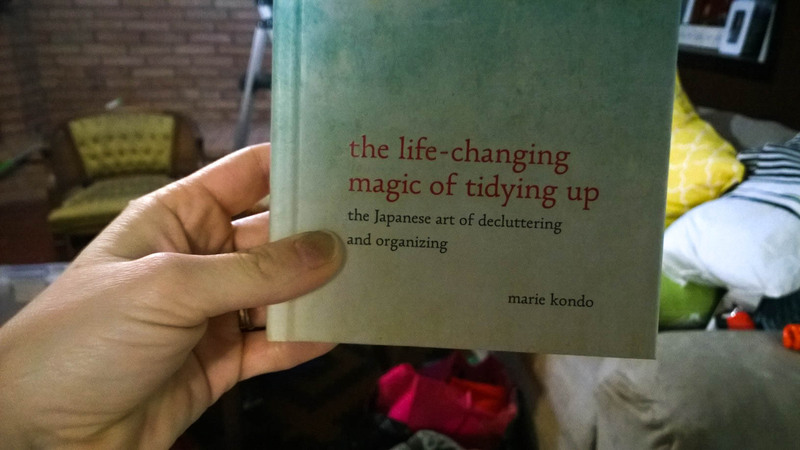 Firstly, I read The Life Changing Magic of Tidying Up by Marie Kondo. Another thing that came up for me within these first few weeks of the new year was FINALLY FINALLY FINALLY finishing the announcements for my Palm Springs/Joshua Tree elopement (A HUGE thank you to my great friend, Tina!). I’m particular about a few things in life, and good designed paper goods is definitely one. (Blame my minor in Digital Media, which I may have hated at the time but fully appreciate as alumni.) I’ll write a whole blog post about those tomorrow, but for now I just want to say that I was so inspired! 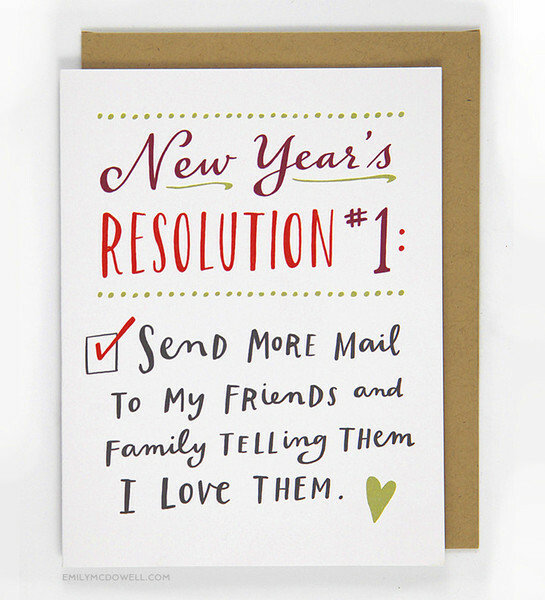 I loved the act of sending out something personal, and I especially love the idea of others getting something other than bills and grocery store ads in their mailbox while adding a little extra brightness to their day! For real, though. Card from A Beautiful Mess. “Tidy” up my house via the KonMari Method. This to be completed by July. Increase my photo editing skills using Photoshop and Lightroom. Create something daily: a fab meal, a blog post, a kid craft, a home DIY, art, whatever! Complete another 70.3 Triathlon. But much better. Transfer over to my owned domain name (I already own it! I just need to figure out how to move what I already written have over.) and develop the site to better suit me. Take Yoga Teacher Empowerment Program at Big Yoga in the Fall. Sounds awesome! I love your goals! And please share your yoga experiences as you work on the retreat and certification. 🙂 good luck! !